Adult Swim brings back everyone's favorite superhero/attorney with a brand new half-hour special Harvey Birdman, Attorney General premiering Sunday, October 14 at Midnight ET/PT. Harvey Birdman, Attorney General centers around newly elected megalomaniac billionaire President, Phil Ken Sebben who announces Harvey Birdman as this country's next Attorney General. 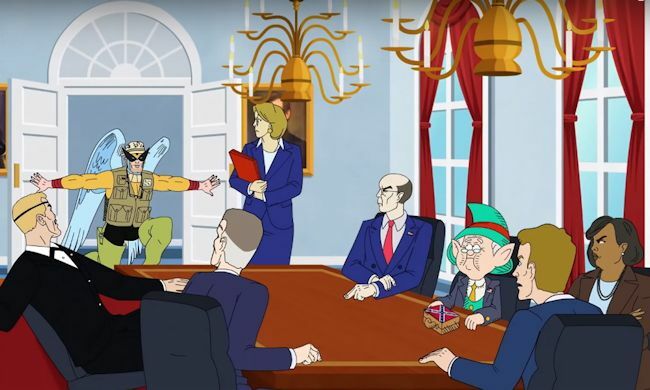 In his new role, it's up to Harvey Birdman to find a way to remove President Phil Ken Sebben from office, before everyone starts to worry it's more than the ridiculous plot to an animated show. The new special features the original cast of voice actors reprising their roles from the beloved animated series Harvey Birdman, Attorney at Law. Representing Harvey Birdman will be Gary Cole. The spokesperson (literally) for Phil Ken Sebben is Stephen Colbert. Mentok the Mindtaker is represented by John Michael Higgins. Paget Brewster is spokesperson for Birdgirl and Peter Potamus by Chris Edgerly, while X the Eliminator and Black Vulcan will be represented by Peter MacNicol and Phil LaMarr, respectively. Harvey Birdman, Attorney at Law aired for four seasons on Adult Swim from 2000 - 2007 and reunites creators and executive producers Michael Ouweleen and Erik Richter, with Richard Ferguson-Hull and Evan Adler also serving as executive producers. In conjunction with the special's premiere, the past three seasons of Harvey Birdman, Attorney at Law is now available to own on iTunes, Google, Amazon, PlayStation and Xbox. 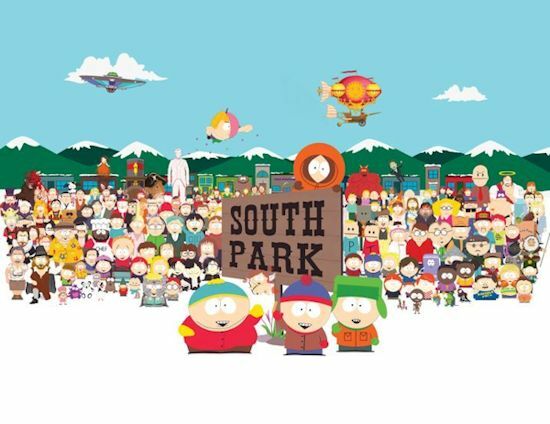 Fans can also catch previous episodes at adultswim.com.